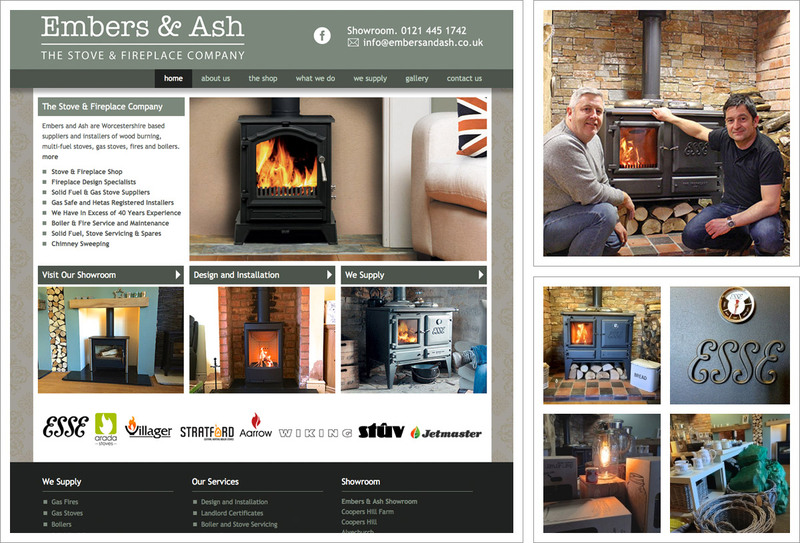 Embers & Ash is a brochure style website for Worcestershire based suppliers and installers of wood burning, multi-fuel stoves, gas stoves, fires and boilers. Logo design for use on the website and also on vehicle livery and showroom signage. The brief was to create something contemporary/traditional and the feel for the website to be warm and inspiring. Widescreen layout with dynamic content showing of beautiful lifestyle imagery with a further two Lightbox image galleries, one for installations and one for the Embers and Ash Showroom. Manufacturer logos, high quality, informative, unique text content. Links to social media. A small yet expandable website built with good on-page optimisation techniques and intuitive navigation.